Martha Lee (Caldwell) Thornhill was born on May 9, 1942, in Columbus, Ohio, to the proud parents of Marvin Caldwell and Mattie (Simmons) Caldwell. She departed this life on March 30, 2019, at the age of 76. Raised in Columbus on the city’s Southside, Martha graduated from South High School in 1960 and went on to work at The Ohio State University Hematology Laboratory. She soon married the love of her life, George Thornhill Jr. In 1964, Karla Elaine was born, and their second daughter, Tonya Renee, in 1969. She worked in Accounts Receivable for JCPenney for more than 25 years. Known as “Marty” by friends, co-workers, and neighbors, she was always kind and willing to give. She had numerous “adopted” sons and daughters who she took under her wing and nurtured and cared for like her own. She also loved to cook and entertain; she was happiest when the house – mostly the kitchen – was full of laughter, storytelling, and good food. Martha attended Friendship Missionary Baptist Church her entire life of 76 years, where her Uncle Bob Simmons, grandmother, Leeanna Simmons, and other family members were among the church’s founding members nearly 100 years ago. Over the years she served in the Girls Guild, Willing Workers Ministry, Smith-Simmons Scholarship Ministry, 75th Anniversary Committee, Women’s Fellowship Ministry, and numerous other committees. She also enjoyed singing and traveling with the Adult Choir. Following in her mother’s footsteps, Martha was a long-time member of the Utopia Chapter #76 of the Masonic Order, joining in 1978. That same year, she joined Alla Baba Court #75. In 1984, she became a member of the Capital Valley Assembly #36. She had the honor of being elected to Worthy Matron of Utopia Chapter #76 in 1991 as well as Illustrious Commandress of Alla Baba Court #75. She inherited the role of Treasurer for Utopia Chapter #76 from her mother in 1992 and served for 22 years. From 1998-99, she served as Deputy of the Oasis of Columbus and was Loyal Lady Ruler for Capital Valley Assembly #36 in 2008. She also enjoyed co-leading the Isisirettes, an all-girls drill team, teaching discipline and poise while traveling and performing in parades/competitions from New York City to Louisiana. Martha is preceded in death by her loving husband, George Thornhill Jr.; mother, Mattie Davis; father, Marvin Caldwell; step-father, Gus Davis; “close-like-sisters” cousins, Odessa (Clanton) Edwards and Testure Pegram-Berry, and Tilvon (Meredith) Mitchell, and Janie (Caldwell) Newman and Marsha Newman. 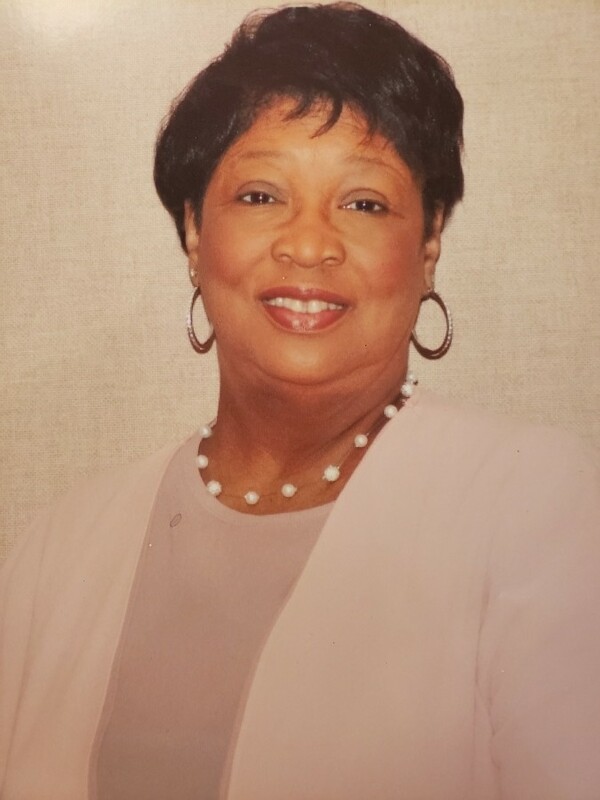 She leaves to cherish her memory: daughters, Karla (Thornhill) Coleman and Tonya Thornhill; grandchildren, Sydnie Coleman and Trevor Coleman II; cousins, Connie Edwards, Carlton (Carla) Edwards, and Clanton Edwards; Guy Newman, Gerry Newman, and Brenda Newman, and many cousins and close friends. Special Thanks to the Elder Family for making us a part of your family – while being a part of ours – and for your ongoing support and love over these many, many years! Martha Thornhill passed March 30, 2019. Family will receive friends Friday, April 12, 2019 at 10am, Eastern Star service 11am and service starting at 11:30am at Friendship Missionary Baptist Church, 1775 W. Broad Street, Columbus, OH 43223. Interment Green Lawn Cemetery. Arrangements by WHITE’S FUNERAL AND CREMATION SERVICES, 867 S. JAMES ROAD, COLS, OH 43227, BENJAMIN F. “BENNY” WHITE, JR, FUNERAL DIRECTOR, (614)947-1123, whitesfh867.com.